I just wanted to send out a reminder that the Pearls! Pearls!! Pearls!!! Blog Hop Sign Ups are Going on this week. The deadline to sign up is Sunday, August 25th and the blog hop will be on Sunday, September 15th. Thanks to everyone who's already signed up!! It's gonna be a fun hop! 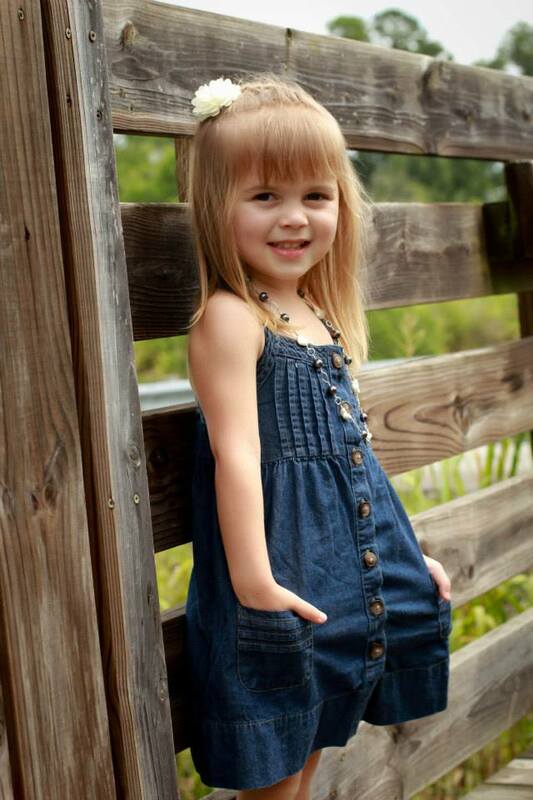 Miss Layla in MiShel Designs Pearls! 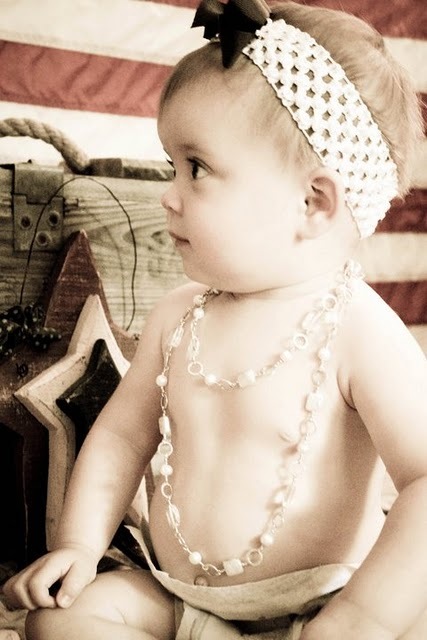 Why yes, Little Miss Layla is totally rockin' some gorgeous pearls! since she was just a baby!! I've had some people ask questions regarding how to integrate pearls into their jewelry designs and what to do if you'd like to LOS your pearl and metal/wirework piece but don't want to harm your pearls and things of this nature. I'll be doing a blog post early next week that addresses some of these issues so that you'll have it for some guidance and I'm hoping it will help spark your interest in using pearls in many different ways. 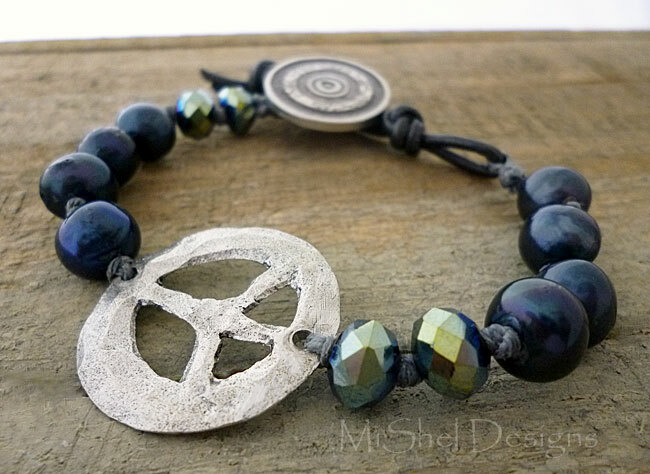 Because remember, even though the pieces I will create will be jewelry related ('cause that's what I do! 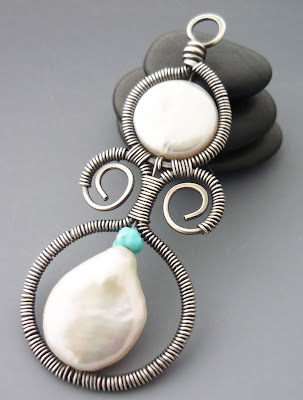 ), you're not limited to just creating jewelry with your pearls - you can crochet mittens decked out in pearls or knit a lovely scarf with pearl dangles (gosh, I wish I could do either of these!!) or you can create some cool wine charms with pearl dangles, be-deck your wine glass or your sunglasses even - you name it! Nicholas Kirkwood's Pearl Laced Satin Pumps - via Pinterest - are totally awesome! 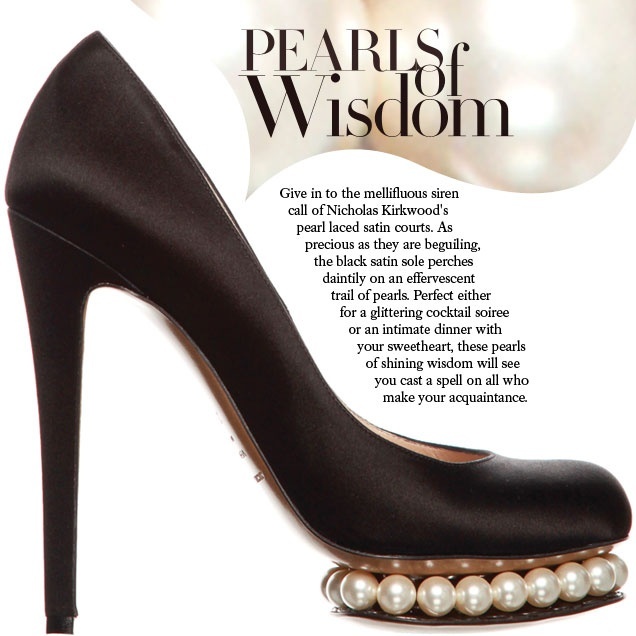 Just get your pearls out and have some fun!